The Fastest Way To Improve On Guitar. Guaranteed. Everything is backed by our extended 90-day money back guarantee, so you can try The Guitar System completely risk-free for three full months. Order today to get instant access to all the step-by-step video lessons. "I had lessons for 5 or 6 years. I learned more in the first year of taking lessons from Nate than I had learned in those lessons or the last 20 years of learning on my own." "I've not had this much fun with the guitar since that Christmas many years ago. I enjoy the lessons and I'm learning things quickly. That motivates me to continue..."
"Nate is a natural born teacher. He’s patient, thorough, clearly explains new material, builds a solid foundation for any technique and progresses one step at a time." Playing the guitar is both fun and rewarding. So, why is it difficult to make steady and consistent progress? Why do some students seem to learn much faster than others? Do they just have a natural skill advantage or is there something more to it than that? I’ve spent the last 16 years teaching the guitar to students around the world. From what I’ve seen, the most successful students have one thing in common. That is, they have clarity on the exact steps they need to take in order to get better. They don’t spend their time wondering what to do next, while playing the same old riffs over and over again. Now, there are thousands of video guitar lessons available online, but the unfortunate reality is that these lessons are inconsistent, disorganized, and often unqualified. This can really stall out your progress and even lead to bad habits that will set you back. With this in mind, I created The Guitar System training pack. It provides you with a complete roadmap so you’ll know exactly what to do in order to learn rock, blues, reggae, metal, punk, jazz, fingerstyle, classical, country, bluegrass, and more. The step-by-step video lessons, fun play-along songs, and unique training tools make learning easier than ever. P.S. 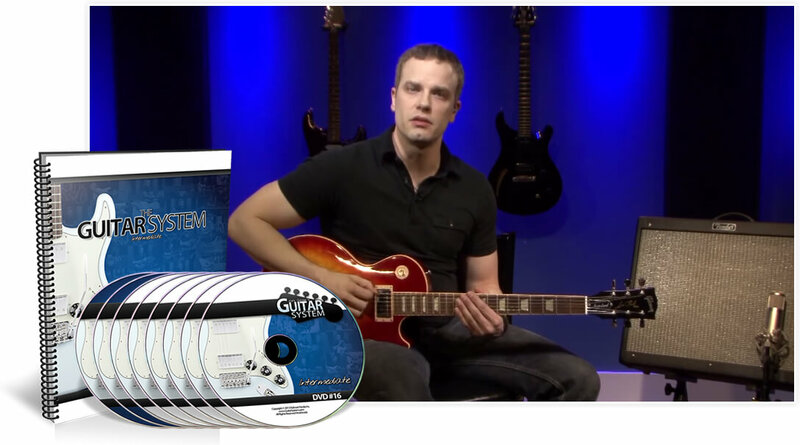 - The Guitar System is backed by my 90 day money-back guarantee. That means you have three full months to try it out with absolutely nothing to lose. If you are unhappy for any reason whatsoever, simply return it for a prompt and courteous refund. It’s easy to make progress when you know exactly what to do next. It’s convenient to be able to watch the video lessons on-demand 24/7. It’s rewarding to be able to apply everything to fun jam tracks. It’s risk-free, because you’re backed by our extended 90-day guarantee. 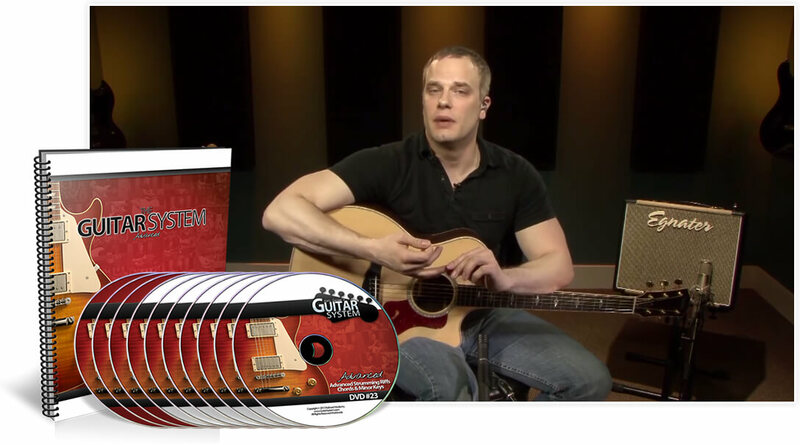 The Guitar System includes 35 hours of step-by-step video lessons, 85+ jam tracks, and five comprehensive PDF workbooks. All of the video, audio, and workbook content was designed to work in perfect harmony to give you the best possible learning experience. Each component has direct references to related media, so you always have exactly what you need. A detailed look at all the foundational concepts you need to start playing the guitar while avoiding bad habits. You'll learn all the subtle techniques and concepts needed to make your strumming sound world class. Discover power chords, bar chords, open chords, triads, inversions, and more - for your rhythm guitar playing. Master the essential techniques that you need to unlock your full potential on an acoustic or electric guitar. Learn all the popular styles including: rock, blues, country, fingerstyle, metal, classical, bluegrass, jazz, and more. As one of the most important styles of music for guitar players, there is a large section of lessons focused on the blues. Learn sweep picking, tapping, legato, and the scales and theory you need to unlock your lead guitar creativity. Understanding how chords and keys work will allow you to build the chord progressions that make great music. Learn the scales and how to use them to play creative and musical lead guitar solos like you've always wanted. Developing your ear is one of the keys to figuring out songs, improvising freely, and writing your own music on the guitar. Discover one of the most effective ways to visualize your fretboard by learning how to apply the CAGED sequence. It's easy to be intimidated when it comes to learning to read sheet music, but Nate's step-by-step lessons make learning easy. Learn how to use the scales, chords, and other advanced concepts to develop the ability to play what you hear in your head. Discover the world of modes and get a first grasp on how to use them as new colors in your lead guitar playing. It can be difficult to make the most of guitar gear, so we've included a section covering amps, types of guitars, pedals, and more. The Guitar System starts with the fundamentals that every guitarist needs to know before even picking up the guitar. In the first part of this section, you’ll learn about holding the guitar, the names of the open strings, tuning the guitar, how to read basic tabs, how to read chord diagrams, and essential information about guitar gear. With those basics down, you’ll learn to play your very first song using some simple chords and melodies. From there, you’ll learn some of the most useful chords and techniques as you dive into lessons on power chords, palm muting, open chords, and strumming. This is where you’ll begin to make real music on the guitar, while developing the proper techniques needed for future growth. With the fundamentals in place, it’s time to take your playing to the next level with beginner rhythm and lead guitar lessons. It doesn’t matter if you play acoustic or electric guitar, this section will help you build a rock solid foundation for the future. The step-by-step lessons cover minor chords, walk-downs, bar chords, the basics of lead guitar, the blues, essential guitar scales, and much more. Further along in this section, you’ll be introduced to the foundations of fretboard layout, have an opportunity to expand your chord library, learn new scales, refine your strumming & picking techniques, and apply everything you’ve learned along to fun jam tracks. That’s what it’s all about - applying ideas and concepts to real music. This section picks up right where the beginner section left off. You’ll get a chance to learn about crosspicking, new riffs, major keys, and new chords to push your rhythm playing further. Then the lead guitar lessons will teach you some new techniques, essential scales and arpeggios, and much more. By the end of these lessons, you’ll understand how to use the scales to perform inspiring solos! There is also an intermediate section that is all about playing the blues. 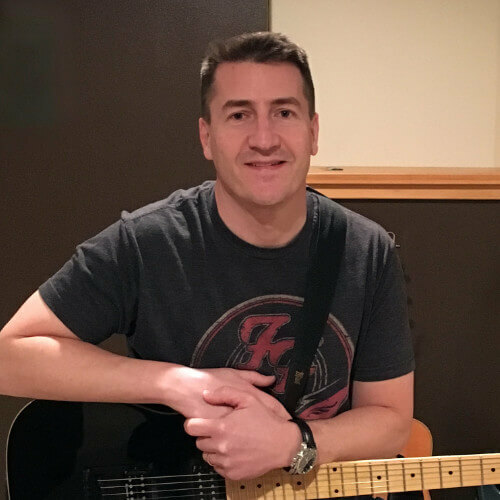 The rhythm lessons cover blues chords, blues chord progressions, blues riffs, and some fun jam tracks that you can use to apply everything you learn. The lead lessons will help you understand the blues scale, blues scale shapes, blues licks, 7th arpeggios, and soloing over blues jam tracks. These lessons will help you grow as a musician and will improve the way you play any style of music. This section is dedicated to the serious guitarists out there who want to push the limits and unlock their full potential on the guitar. 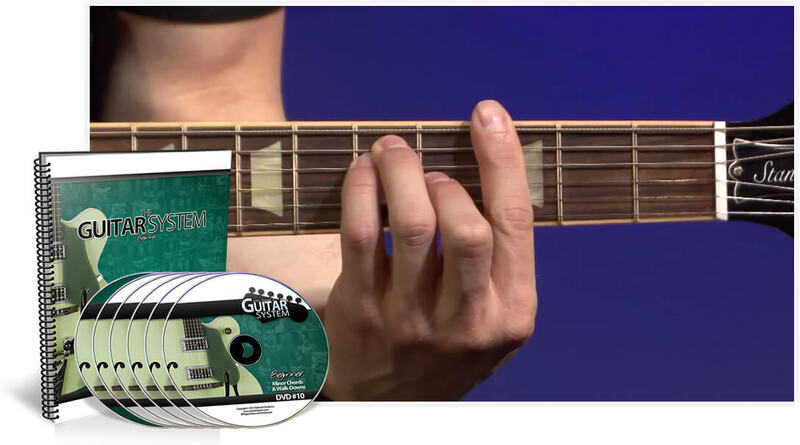 Your rhythm skills will grow exponentially with lessons on advanced strumming, new riffs, new chords, inversions, new keys, advanced theory, and much more. You’ll quickly approach the point at which you’ll be able to attack and master any style of music that you choose. You’ll also start to see the big picture when it comes to playing lead guitar, with lessons on new scales, advanced lead techniques, improvisation concepts, scale sequencing, sweep picking, the CAGED sequence, modes, and more. Each new section includes jam tracks that you can use to apply your own creative ideas as you begin to express yourself on the guitar. This section is always ready for you whenever you want to explore new musical styles. This is in addition to the many styles already covered within the beginner, intermediate, and advanced sections. You can jump into lessons on Metal, Fingerstyle, Country, Classical, Spanish Classical, Bluegrass, or Jazz. Plus this section includes full live band performances of ten exclusive jam tracks. Don’t worry if you are intimidated by the idea of learning theory. All of the essential concepts are slowly introduced in a natural way throughout the beginner, intermediate, and advanced sections. Then for students interested in further information, this section includes a more complete and comprehensive review of everything you need to know. 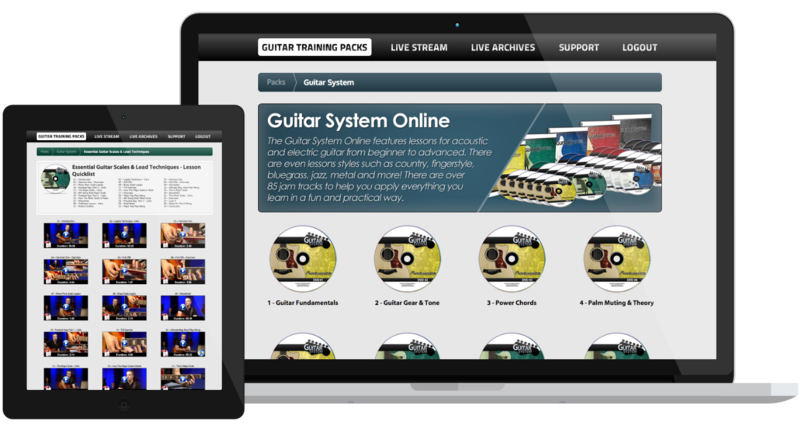 Guitar System students get instant-access to all of the video, audio, and workbook content through our exclusive online members area. 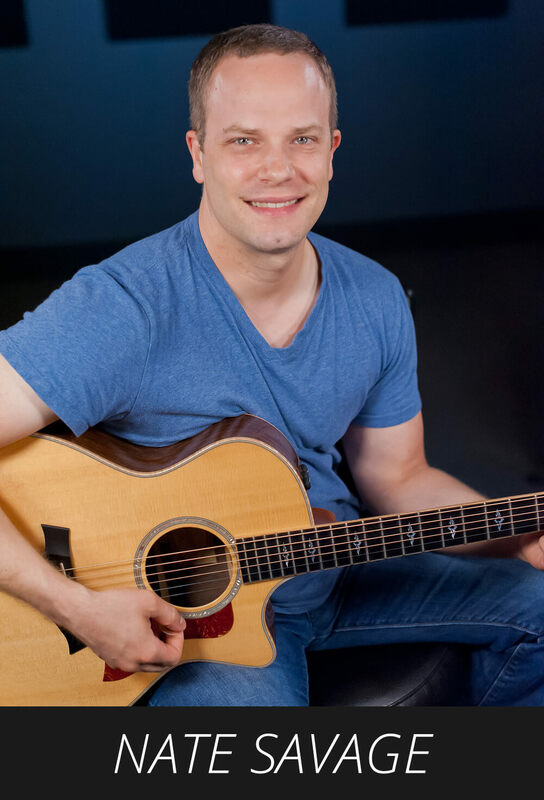 You can live stream all of the video lessons, download the play-along songs, view or print the included sheet music, and connect with other students in The Guitar System community! This powerful resource makes it easy to access your lessons anytime from virtually anywhere. It works on PCs, Macs, iPads, iPhones, Android devices, and other mobile computers that have an active Internet connection. 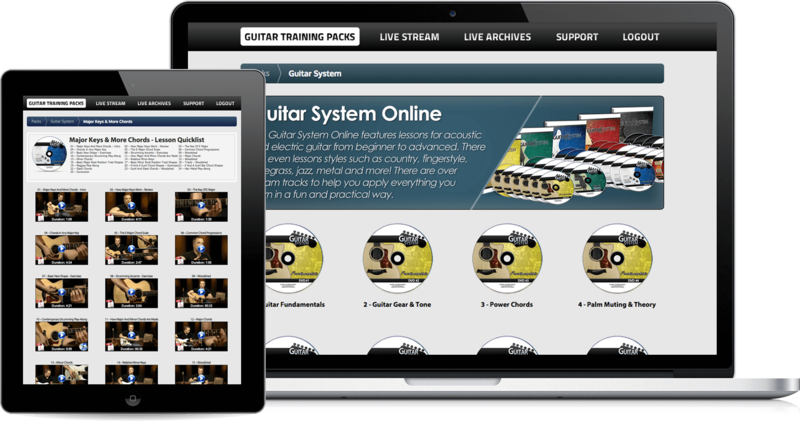 Best of all, you get unlimited lifetime access to The Guitar System, so you can enjoy the lessons for years to come. 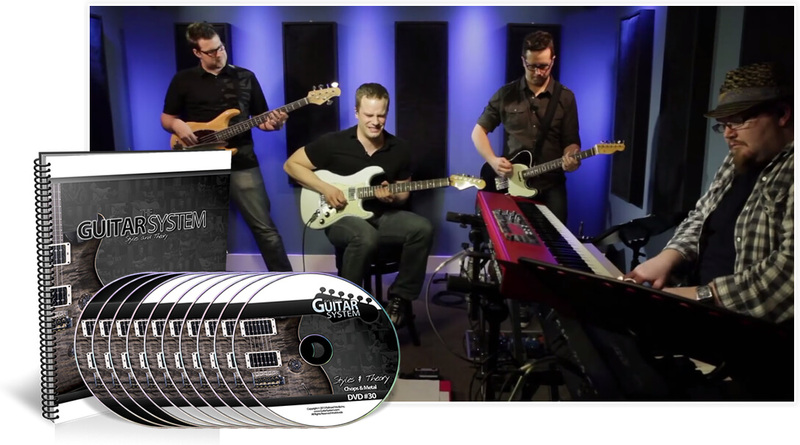 The Guitar System is a one-time investment that covers everything you need to unlock your potential on the guitar. There are no recurring or hidden fees, it’s backed by our 90-day money back guarantee, and you always get consistent and qualified advice. Unlike with subscription sites and YouTube videos - you’ll never suffer from information overload, because we prioritized quality over quantity. You simply get the step-by-step lessons you need to make consistent progress. One of my goals was to become a better musician, and to better understand music theory. This had been daunting and dull learning from books, and I was concerned that learning from online videos might not be any better. I was afraid the knowledge wouldn't stick. Maybe the best part of The Guitar System is the order in which the lessons are presented. This is what makes it a SYSTEM. Free lessons are great, but fumbling through in no particular order isn't the best way to learn new skills. The Guitar System introduces new skills and combines them with practice of previously learned material that makes the learning stick. Nate presents everything clearly, and each lesson is just another small step on the path. None of the lessons are overwhelming, trying to provide too much at one time. I had guitar lessons for 5 or 6 years. I learned more in the first year of taking lessons from Nate than I had learned in those lessons or the last 20 years of learning on my own. I was barely an intermediate guitarist when I started with the course, but went back and took all the lessons from the beginning. It was surprising that I learned things in the beginning section that I had missed all these years. I play for fun, not professionally, but I would think any guitarist at any level would learn from this course. It is ridiculously inexpensive considering the content. Thanks Nate! I wanted to develop my ability to play lead riffs and fills between chord changes. I have taken online lessons for 4 years that did not cover these aspects. 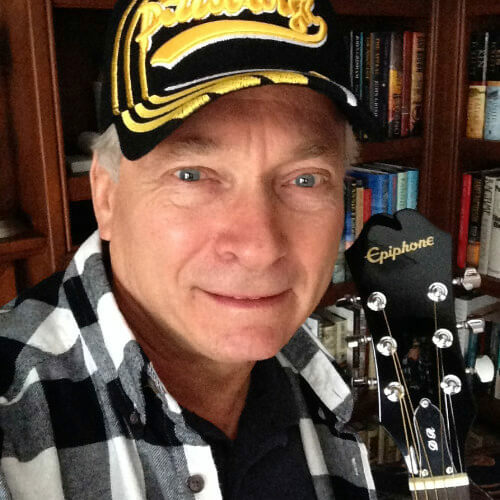 I have played for over 5 decades - have an excellent sense of rhythm & many strumming techniques - yet lacked the understanding to cover the lead playing. Nate is a natural born teacher. He is patient, thorough, clearly explains new material, builds a solid foundation for any technique and progresses one step at a time. The lessons are well organized and are very easy to access. He offers downloads and practice tracks, reading music & tablature, etc. This course is far more comprehensive than any I've seen and it pays big dividends if one puts in the sweat equity to learn these things. If you are considering buying the lessons - just jump in and get started. If you have played a long time & already have good skills - breeze through the basic lessons - you'll learn something new even there. Then get on to the more advanced lessons and put in the woodshed practice time. In no time you'll be hearing and playing songs and lead parts that you never recognized before. Your intuitive skills will skyrocket and you'll be off and running! 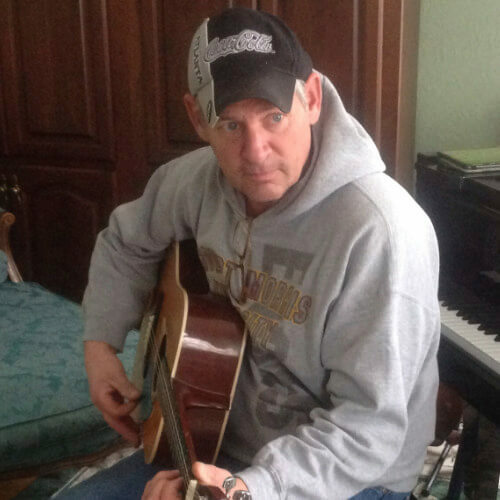 "How is an online program going to teach a person who never picked up the guitar how to play? 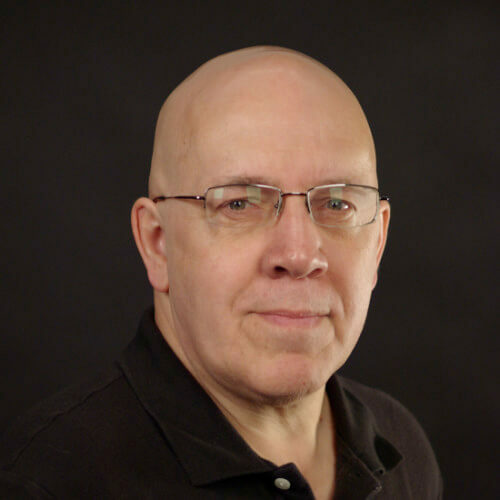 I emailed a few of those program directors asking questions." I am going through a transitional phase in my life. Due to health reasons my physical activity has decreased significantly. I needed a new hobby and something I always wanted to learn was how to play the guitar. I knew learning an instrument was going to be very hard and I could not drive to go anywhere to get lessons. I found a few programs online that promised to teach you how to play the guitar. I was very skeptical. 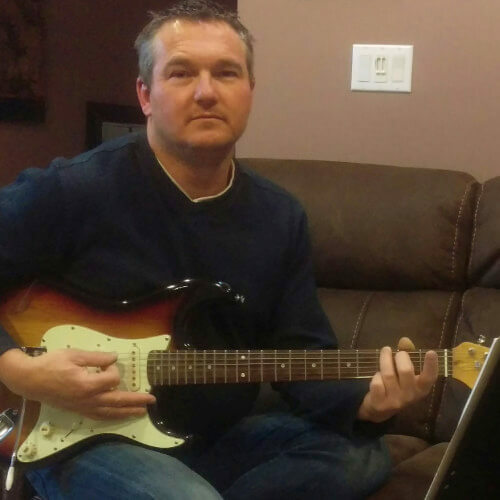 How is an online program going to teach a person who never picked up the guitar how to play? I emailed a few of those program directors asking questions. Nate was the most helpful instructor and answered all of my questions. I spent a few weeks going back and forth with him through email, before I was convinced this program could help me learn from the start. I was glad that I did sign up form the program. The program starts out teaching you how to hold the guitar and pick and the first thing you play is a one note practice lesson. Once I heard my guitar sound like his in the video I knew that I could do this. The videos show multiple angles. Some other video lessons I’ve seen are filmed at one angle and you cannot see the detail on how to play a certain cord like you can in these lessons. The guitar system is a complete package. It will take you from never holding a guitar to playing more difficult strumming patterns and licks. You will need to put time into it to get everything out of it, but you can do it at your own pace. I can't thank you enough for your Guitar System. I wasn't sure if I would stick to learning how to play when I bought my first guitar, but a good friend of mine recommended that I buy your learning package. I practice almost every day, and when I have days that I can't practice it drives me crazy! It has been slow going for me though, but I know that learning the guitar can't happen overnight. I have had a lot of progress though, using your Guitar System alone, I have gone from not knowing how to play one note to learning power chords, and now working on the open chords. The one thing that I like the most about your system is how I can go back to any video and review the lessons. 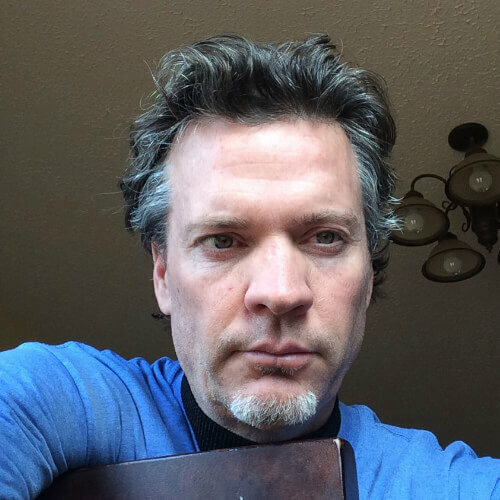 I work out at sea for months at a time, and I yes I bring my guitar with me, and if it wasn't for your Guitar System, I would have to wait until I was back home on vacation to take guitar lessons at the local music store. I am sure that if I had no way to learn while I was on the ship that I would quickly lose interest in learning. Again with your Guitar System I'm able to pull up a lesson whenever, and wherever I have time to practice. I'm amazed as to how quickly you respond to questions on your web site. I know that the money I spent on your Guitar System was well worth it, I didn't just pay for some learning videos. I paid for learning lessons, just as if I had gone down to the local music store and paid for lessons there. As with working with a live instructor, I can ask you a question knowing that I'll get a quick response. Fortunately your video lessons are done in such a way I haven't had many questions! So kudos to you for that! 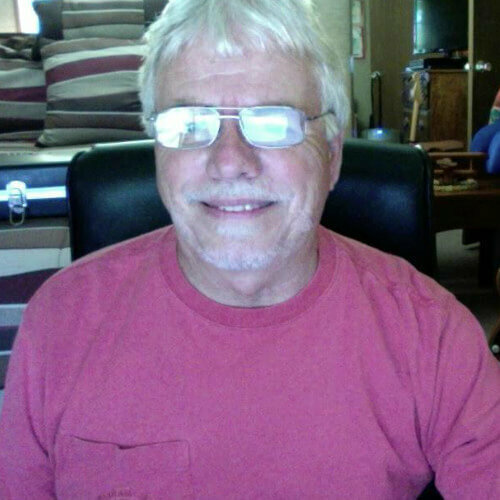 I was not sure if online lessons would work for me, so when I started the online lessons I also decided to take one on one lessons with an instructor. After six weeks of one on one and starting with Nate online I found the online was better and I was learning more, therefore I canceled the one on one lessons. The content is great, everything about the lessons are controllable, and Nate seems truly interested getting you advanced, and liking what he's doing. I found that I could be as quick and as slow at learning something as I needed, and not be rushed. 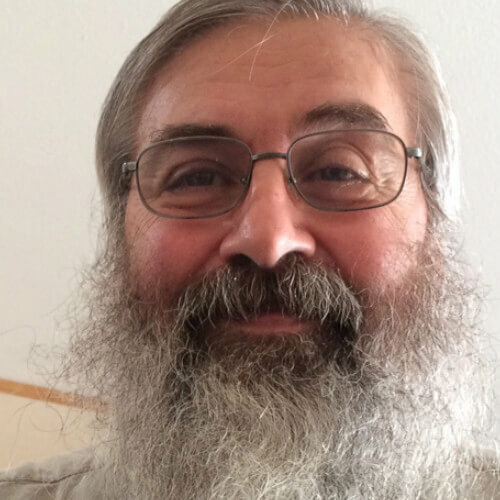 I am 68 years old, and through the system I feel I belong. I found that the lessons were broken into easily manageable portions that were explained in great detail. At every step Nate was very encouraging about not being hard on yourself and with practice you would see improvement. Many times just watching a lesson was a motivator. The quality of the video lessons is exceptional and are not so long that you lose interest. The camera angles help you to see what and where both hands should be. I love the fact that I can take a lesson 24/7. That gives me the flexibility to practice any time I can. We take care of our grandchildren so sometimes I can't practice when I had intended, but I can practice when it becomes possible day or night. I initially was unsure as to whether I could actually apply what I learned online to having it work in my actual playing. This course is without a doubt the best one available because of its great detail in every single aspect of learning a new lesson or technique. The step by step lessons, with each actual exercise being performed by Nate as the instructor and explained in full detail, provided a level of comfort and knowledge you do not get trying to learn watching Youtube videos or other types of online learning. 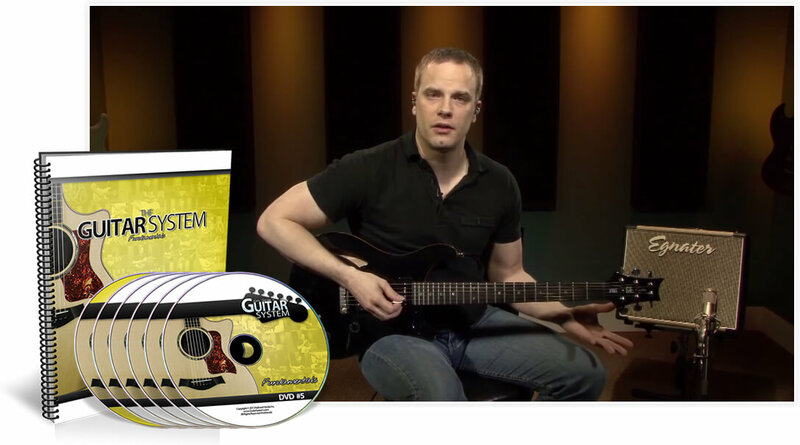 I believe this is the BEST online Guitar Learning System available on the planet. It is priced so right, and gives such great detail on every aspect of learning guitar properly. 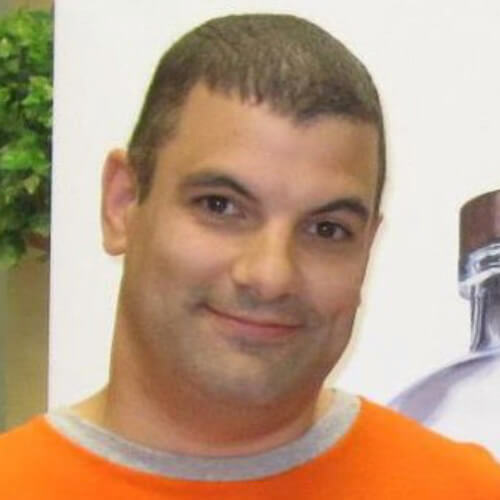 Plus, Nate answers questions quickly that one may have and the site is definitely kept up to date and works wonderfully each and every time I go online to learn. 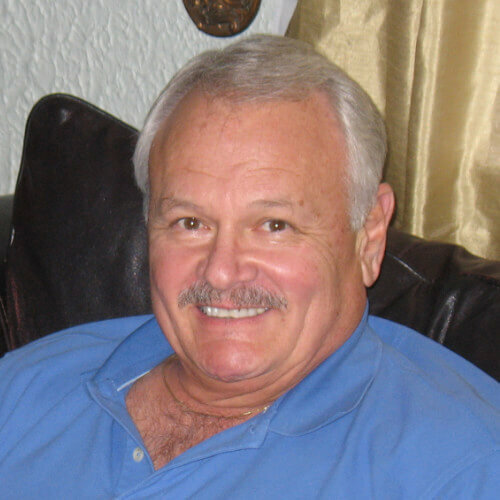 James Polito - Foxborough, Ma. "Nate is a genuine person who cares about what he is doing..."
Bottom line. Nate is the ONLY online teacher I could find who teaches people to be a musician. To take the time to explain what he is doing and why he is doing it. From scales, reading music, chords, technique, etc. ALL other teachers are in a hurry to get you to play as fast as possible BUT do not teach any fundamentals. Nate is teaching in a way that builds SOLID foundation. He also keeps everything clean and appropriate compared to all the other internet teaching options. Nate is the ONLY teacher for me and my family. Because of his ability my two daughters have now started to learn to play guitar as well and outplay me by leaps and bounds. Which is great! Nate is a genuine person who cares about what he is doing. He updates his site even after only charging a one time fee. Other online teachers who charge a monthly rate don't update their sites as often as Nate and don't seem to care. It is obvious that Nate desires for people to learn how to play well and not just take people's money. I thought at being close to 50 years old and having small hands that I had 2 things that would slow down my progress. The exercises and the hand stretching, finger stretching and being able to go over the lessons whenever I wanted was very helpful. If I missed something, it was simple to just back up and go over it again until I got it correct. It is well worth every penny. I took a few lessons from a private instructor and not only was it expensive it wasn't moving me toward my goals. 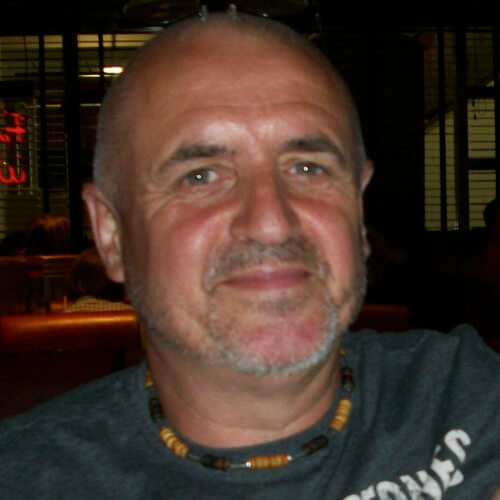 With this system you can set a goal and achieve it as fast or as slow as you want to and it has helped in my playing. The Guitar System puts subjects in order of when I should learn them. It allowed me to stay structured and work on certain things before moving on. Things like end of lesson play alongs were perfect, as you know once you have mastered them, you are exactly where you should be. Not only did I learn the modules, I learnt the theory behind them and WHY we need certain things and HOW these things are incorporated into music. Nates demeanour is great. He is very easy to understand from a beginners point of view but not to the point of being too simplistic. I went from being able to only play a G chord to now playing open chords, barre chords, power chords, Metal galloping, palm muting etc. I have a long, long way to go but progress has been amazing. 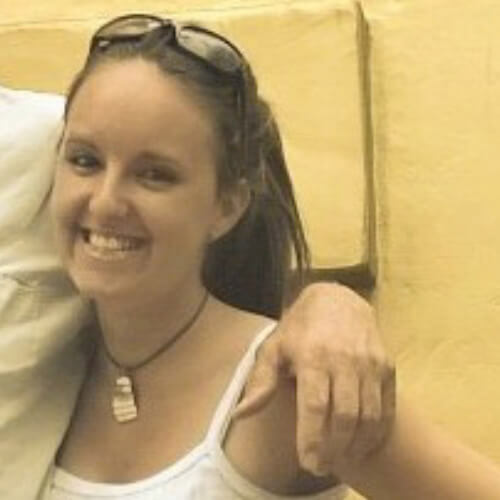 "As with any web based training you always are concerned with is it legit or is it a scam? Will the information be useful or repetitive? Will it have value to me?" As with any web based training you always are concerned with is it legit or is it a scam? Will the information be useful or repetitive? Will it have value to me? 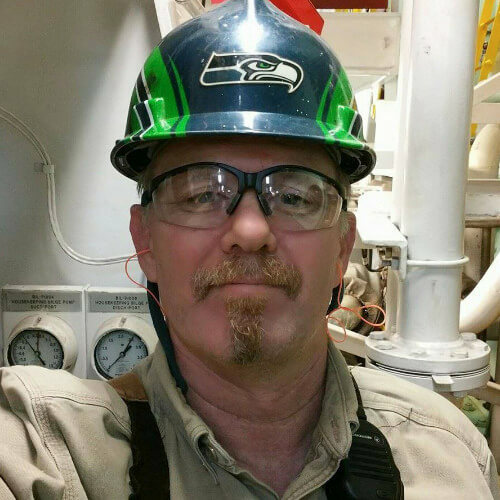 I am a 45 year old man who works hard with my hands each day. I haven't played in 30 years so will I be able to learn and be good at it? Using The Guitar System has been a blessing to me. The lessons cover so many forms of guitar playing. I love that I can work at my own pace. Focusing on the styles that I like best but still being able to gain knowledge on other styles. Through the postings on the lessons and personal communication you feel you are part of a community. I like that it is web based allowing for updates and additions to the program. "I like that it starts right away with music playing and tons of songs to play with as you learn. And you can go back and watch it over again..."
I’m not an “online” guy, but it’s the best! No more carrying papers, books, CDs, or DVDs. If I can figure it out anyone can. There is everything you need to start right away and you really don’t need to leave your home and go to a lesson anymore. I have an instructor also because I am old school, but any questions I have Nate answers right away. And you can get involved as much as you want and get on the chats and get help from others. I just can’t say enough about your program! I like that it starts right away with music playing and tons of songs to play with as you learn. And you can go back and watch it over again until you get it any time of day or night. There are so many options from beginner to experienced and everything between along with the different styles of music! I've always wanted to play guitar but was worried about not being able to understand how to read music or make the lessons stick as I don't always remember things well. But Nate's lessons flow easily and are enjoyable to tune into, which is half the battle won really! It's enjoyable, therefore it doesn't feel like a chore. 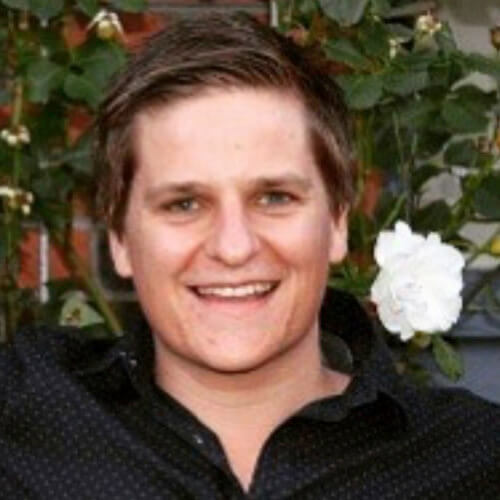 Nate has a teaching style that puts you at ease with a warm and down to earth tone that makes him relatable and his lessons are enjoyable which makes you WANT to continue learning. Each step is dissected in a simple way so that beginners such as me can make sense of it all. I like the choice and variety of songs, the professionalism and layout of lessons and the complete confidence that instills in a learner of any level. It really does have EVERYTHING you need from gear advice, improvisation and even ear training to be able to properly and successfully play guitar. Keep up the sensational work and thanks for inventing The Guitar System! If not for that, my guitar skills would be miles from where they are now. I have been trying to play the guitar for about 25 years. I received an old acoustic guitar for Christmas and went out a bought a book. That didn't go well. I signed up for a series of lessons at a local music store, but the instructor was old and he had me playing 1930s and 1940s show tunes. I hated it. I quit and didn't try to play again for a long time. I thought about taking more lessons, but they were expensive, and with the bad experience I had previously, I was reluctant. Eventually, I purchased a DVD series of lessons. It was okay, but it wasn't what I was looking for. When I saw The Guitar System I was intrigued so I signed up. I've not had this much fun with the guitar since that Christmas many years ago. I enjoy the lessons and I'm learning things quickly. That motivates me to continue and to keep getting better. I appreciated that the lessons began with the very basics. I was having difficulty making certain chords and doing quick chord changes, but I quickly found out that I was holding the guitar wrong. I changed that and I've had much less trouble since. I like that each lesson is short and doesn't give so much information that I feel overwhelmed. I can work on each skill until I feel comfortable and then move on. I hope you are proud that your teaching has reached so many students. 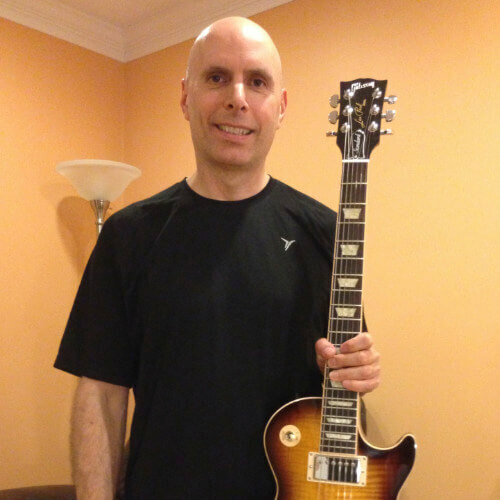 I have researched many sites but was impressed with your free lessons and decided to purchase your Guitar System program. There is so much helpful information included in addition to many more lessons than I expected to get with any program. You make no assumptions about anyone's ability and covers all of the basics, which I especially like since I am new to the guitar. The various camera angles are helpful in viewing the finger placements and strumming. I could go on but will finish by writing that The Guitar System has exceeded my expectations as a teaching tool and I am thankful to have found so much information delivered by such a talented teacher. I started learning at 55. You are never too old to do anything if you really want to do it. I was kind of skeptical at first because it was online, but it was the best thing I ever did. Nate is the best teacher you could ever want. Also, the on line site is 100% safe and it is exactly what it they say it is, for sure. Best choice I ever made! I like the fact that you can go back and do the things that you did not completely understand. I have done this many times. I took lessons with an instructor for about 3 years, and I can honestly say that I learned more with Nate in 6 months than I did with an instructor for that 3 years. Being able to go back on material learned is awesome. It was just like sitting right next to a live instructor, and everything was where you could understand the information. Also, you can set your own pace at your own level, plus don’t have to drive 20 miles to take a lesson. At first I wasn't sure if it would live up to its promises as i have tried similar sites which were ok, but i wanted something which would live up to what it promised. I have played for 16 years and found that i was stabbing around in the dark, picking up bits here and there. By using The Guitar System I have found for the first time some real structure and progress in my playing. I love how you can replay videos to go over things until you nail them. It is also great that you can study all styles and genres of guitar playing to expand your knowledge. Also, it is very helpful to know that you have a very knowledgeable teacher at the end of a mouse click, if you aren't sure about something he always gets back to you to solve your question. I would recommend The Guitar System to anyone who is thinking of joining. You will save yourself a lot of time searching for the real deal as this is the real deal. It is the closest to having a real flesh n’ blood teacher in front of you for a fraction of the cost to boot. And you don't have to wait until the next lesson to go over something you didn't quite grasp in the previous one, this is available 24/7 day in day out. 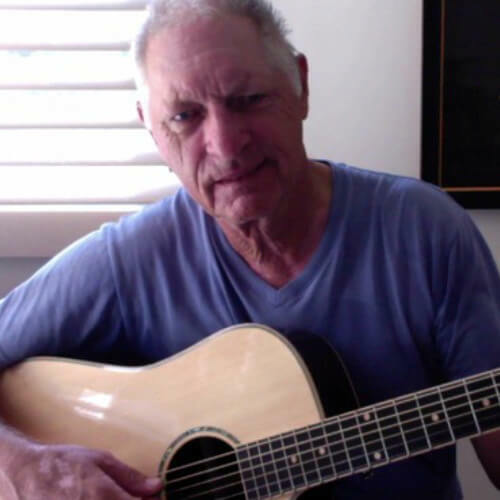 At my age of 70 I was not sure if I would be able to gain much from trying to learn and that it might be too late and will admit that I was worried about wasting money should I find it too difficult as I do have smallish hands and the fingers are not very long plus I always felt that I have a very poor sense of rhythm. 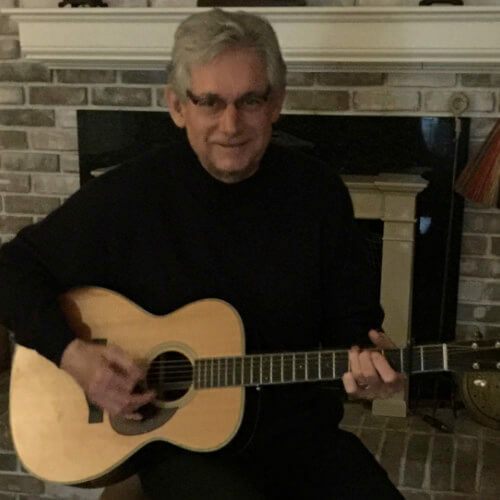 I have found that although I do not expect to ever become a brilliant guitarist I am getting a great deal of pleasure from the things that I am learning and because of the videos and the play-a-longs I am even beginning to get a better sense rhythm. I am also getting a better understanding of music. I find that the lessons seem to be structured in a way that I can follow and because I can go back and forth whenever I wish it is easier to confirm things or re-practice things that I may have forgotten. Knowing I am able to ask a question, should I need to is also useful. As said I may never be wonderful but that does not matter. It is the fun in trying that is important. I was unsure about signing up when I did not really know what quality lessons the Guitar System would contain but I am now glad I did because quite simply I am enjoying it and that is what it is all about. It doesn't matter how good I get. I will just keep going and have a little fun on the way. I am 63 years old and only started to play 3 months ago. I learned the basic chords, the first chord changes, and the first two songs. 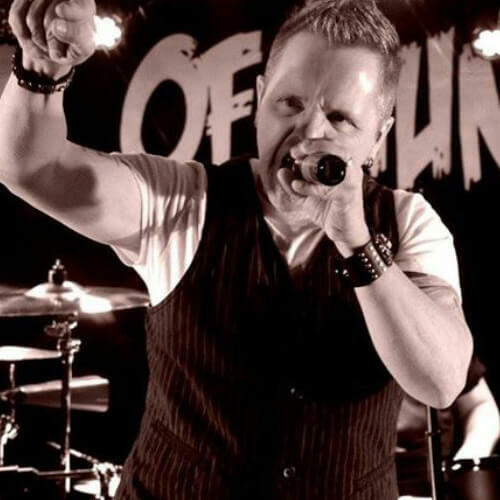 The teaching style works for me because Nate really starts with the most crucial elements, holding the pick, hand and posture positions, laid back style and having fun. 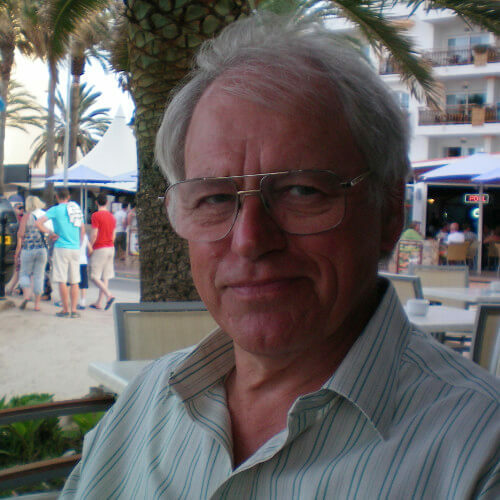 The major impact for me was his teaching style, slow, clear, easy-going, understanding and having an in-depth knowledge about teaching. Exactly what you need as a beginner, no showing off with an overwhelming attitude (there is a lot of this on the internet). I did not go for those teachers. I never thought learning guitar with Nate would be so much fun, not work. For me chords and sounds are marvelous just like colors. Here are answer to the five most frequently asked questions about The Guitar System. If you have any questions that aren’t answered here, please contact us using the form on the right. What skill level is required before I can start? No previous experience is required. It doesn’t matter if you are a complete beginner or an experienced musician looking to improve. The Guitar System makes it easy to start off with the basics or pick up wherever your past studies left off. Will the streaming videos work on my computer? A great way to test if the videos will work for you is to check if the video tour at the top of this page plays on your computer. We use the exact same video player for all of The Guitar System video lessons. Also, your purchase is backed by our extended 90 day money back guarantee, so you can test it risk free for three full months. Are the lessons for acoustic or electric guitar? It’s perfect for both. The techniques and concepts in The Guitar System apply on both the acoustic and electric guitars, so the skills are transferable from one to the other. Are the lessons for rhythm or lead guitar? Both rhythm and lead guitar topics are covered in detail, so you’ll have a chance to pick which lessons appeal to you the most and, of course, you can choose to go through both. Is there an on-going subscription fee? No. 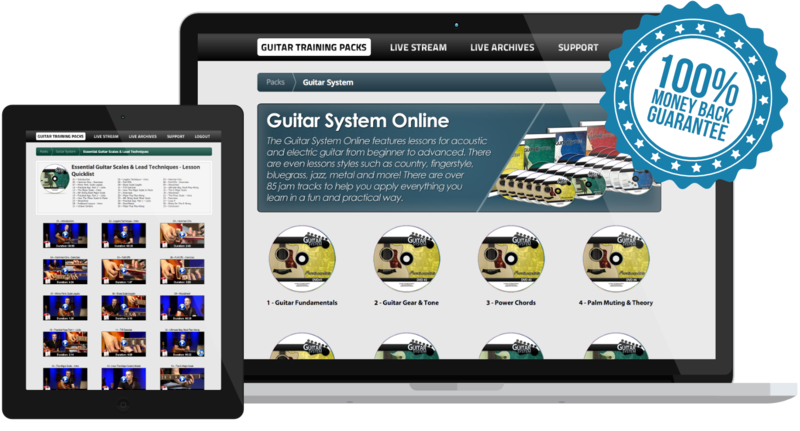 As a Guitar System student you get unlimited lifetime access to the online members area with no hidden fees or subscription charges. In some cases The Guitar System is available with monthly payment plans, but there are still no future fees beyond completing the payment plan. Your order is backed by our extended 90-day guarantee, so you have three full months to try the lessons risk-free.